Aaron grew up in the Bangor area, in a family that loved Baxter State Park and introduced him to it at an early age. He first climbed Katahdin, via the Saddle Trail, at age six, and started making annual trips into the Russell Pond area with his family two years later. Backpacking, fly fishing, nature observation, canoeing, and the occasional bushwhack were staples of his early experiences in the park. Baxter State Park quickly became his favorite place to be, and that’s still true three decades later. Aaron graduated from Colby College with a degree in biology, and then earned a master’s degree in conservation biology and sustainable development at the University of Wisconsin-Madison. He spent eight years working in the Maine land trust community. Aaron enjoys helping people connect with nature, and has a particular love for introducing children to the outdoors. 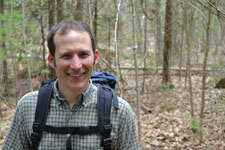 He is a Registered Maine Guide, with licenses in recreation and sea kayaking. Aaron and his wife Ashley live in Belmont with their two daughters. Sarah Holland is a registered architect. She grew up in upstate New York. She graduated from high school early and spent two summers in Alaska canning fish and living in a tent to pay her way to college. She earned a Bachelor of Architecture from the Boston Architectural College after graduating from SUNY Buffalo and attending the University of North Carolina at Greensboro. She came to Maine to work with renowned fabric-structure designer Bill Moss, put down roots, married, and started a private practice in 1991. Throughout her career she has focused on sustainable design and renewable energy. Sarah lives in Camden with her husband Peter Jones, a potter, photographer, and cave explorer. 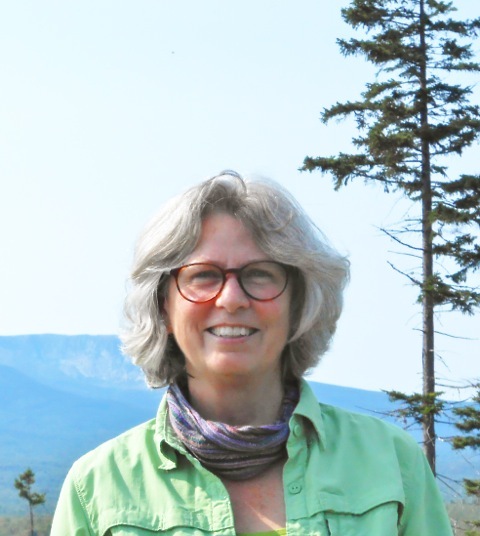 She has been the Administrative Manager of Friends of Baxter State Park since 2011.